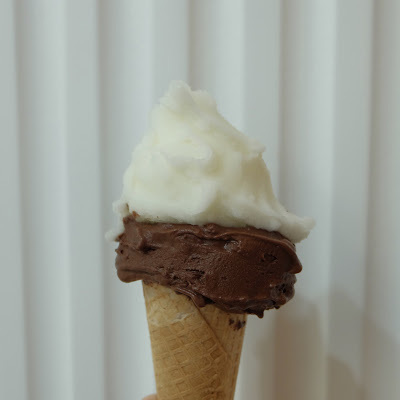 Today I want to share with you what Italian has sworn by and perfected from many ages ago, their Gelatos. 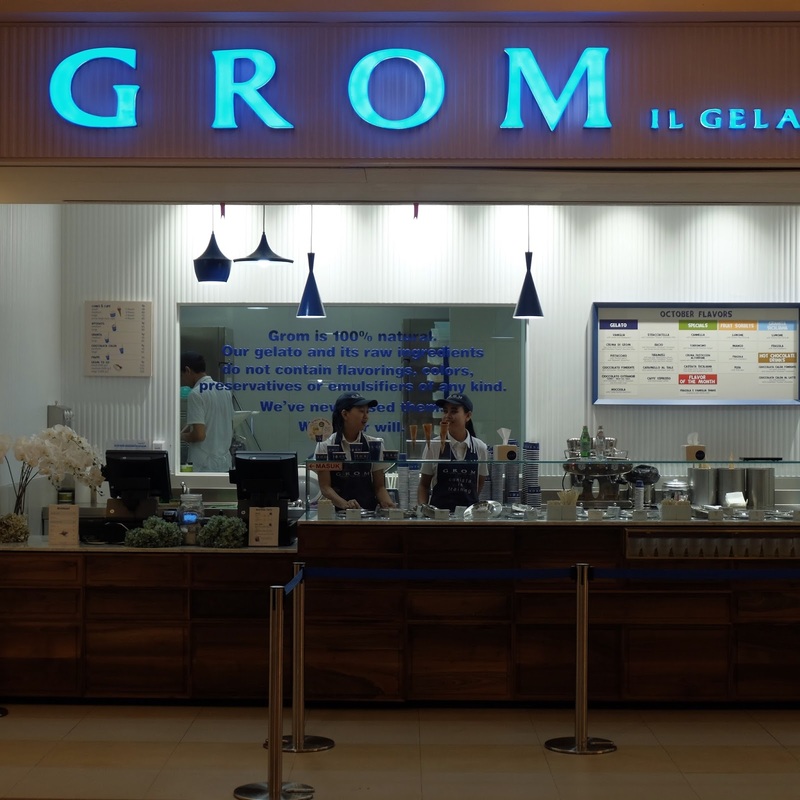 Grom, which recently make Jakarta their new home on the 1st floor of Pacific place, do know their gelatos. Grom has a slogan “IL GELATO COME UNA VOLTA”, which would roughly translate to “like it used to be made”. They vow to make Gelato like their ancestors used to make, how Gelato taste should be. People at Grom are not messing around on how they make their Gelatos. 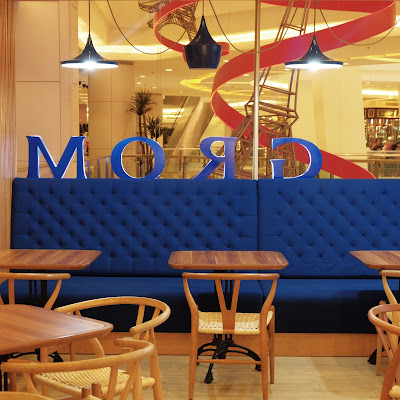 They use only the finest and absolute highest quality of raw materials; fresh fruits from the chosen consortium in Italy and their own bio-diverse organic farm Mura Mura. 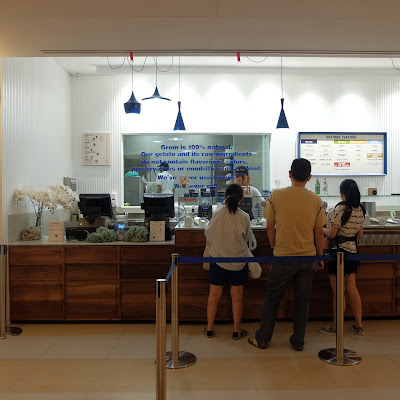 Grom’s gelato uses fresh milk and free-range chicken eggs (means happy chickens, awesome eggs), sorbets with 50% fruit, water only from Sparea springs and white cane sugar. I did my time once working at an Ice cream industry and know my icy dessert; there is a huge difference between Gelato and Ice cream. Gelato has lesser fat than ice cream as it uses fresh milk instead of cream that is a basis for making ice cream. 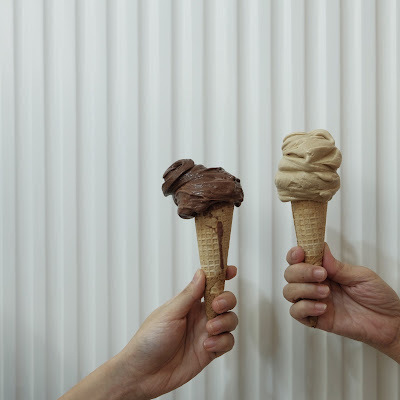 Gelato also has a warmer temperature to ice cream, which is set more or less at -10 degree Celsius. 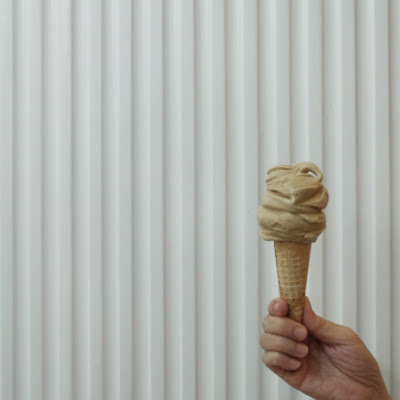 I would add one crucial point, that Gelato is more forgiving on your waistline than ice cream. 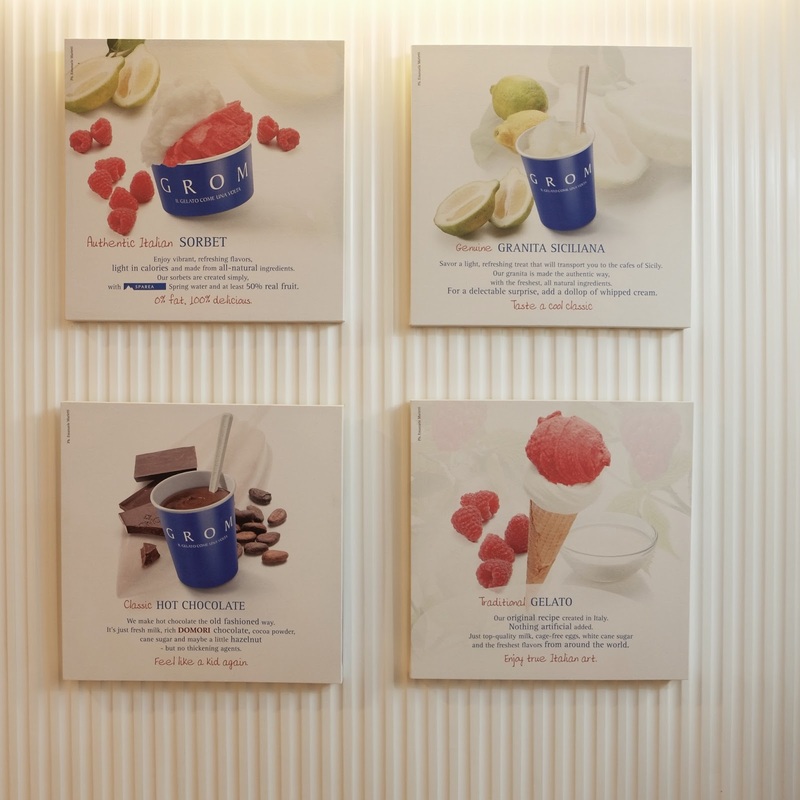 One of the perks of Grom’s gelato is that it contains 9% less fat than normal gelato which is around 14% fat and 0% on its sorbets, remembering again how kind it is of Grom to remember our waistline. In addition to having less fat or no fat, Grom has no preservatives, flavorings, emulsifiers nor coloring, and that is being kind to our body. 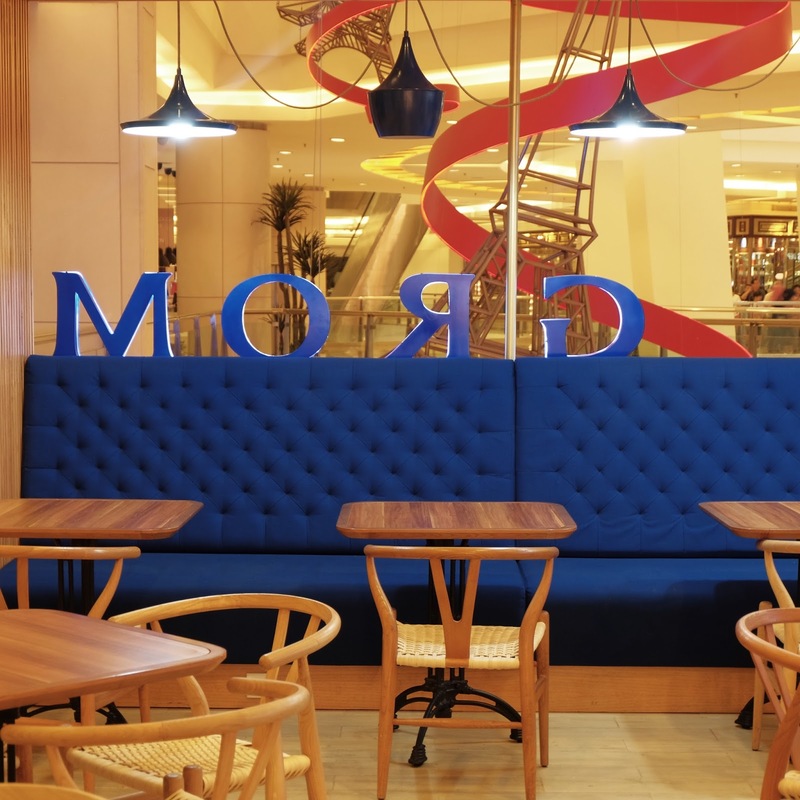 Grom now serves 70 branches worldwide from its hometown Italy to Dubai, Los Angeles, New York, Paris and now making its way to South East Asia, Jakarta. Remembering how low fat or zero fat Grom is I tried 6 different flavors to taste, just because I could. The flavors I tried were Crema di Grom, Bacio, Triple choco, Double choco, Lemon sorbet and last but not least Pear sorbet. 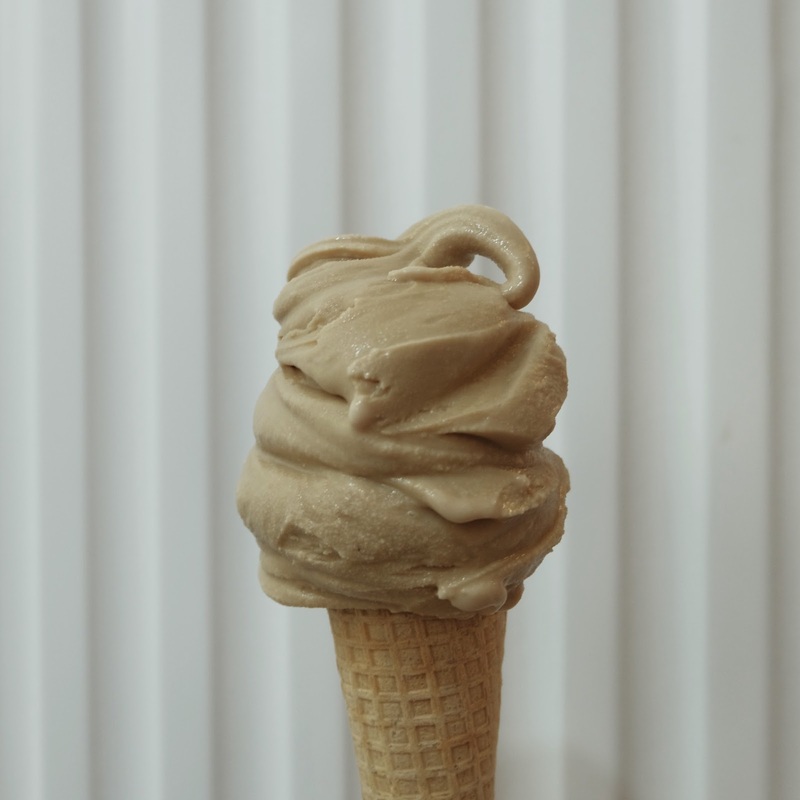 Crema di Grom is their well-known signature flavor; it is tested and do lift up to the expectation. It is based of egg cream gelato with corn biscuit and Colombian Teyuna choco chips. A definite must try! Or at least try a sample of it when you visit Grom. I must recommend pairing Crema di Grom with the Pear sorbet. You might think of nothing out of the ordinary from a Pear sorbet. However, let me convince you wrong, it is actually quite a little delight flavor! It exactly taste like pear, soft and sweet smelling yet it is chilled! Let it surprise you! 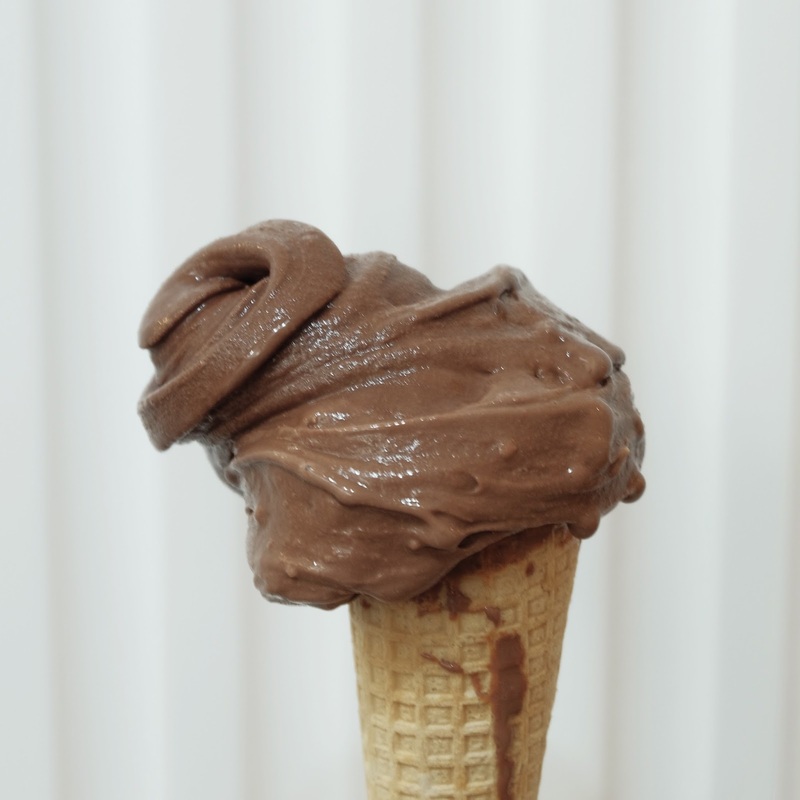 Another recommended pairing is the Bacio (choco hazelnut) and Double choco; bacio on its own tends to be sweet, with the double choco that has a more bitter dark chocolate flavor, it makes a perfect pairing. If double choco is not enough dark for your taste bud do opt for the choco instead, it has a more prominent dark chocolate taste and does not contain milk. Other flavors I tried have their own unique taste. The lemon sorbet has a strong flavor of sourness. Their nocciola has a smooth and light hazelnut flavor compare to Bacio. But overall their gelato blows my mind away . 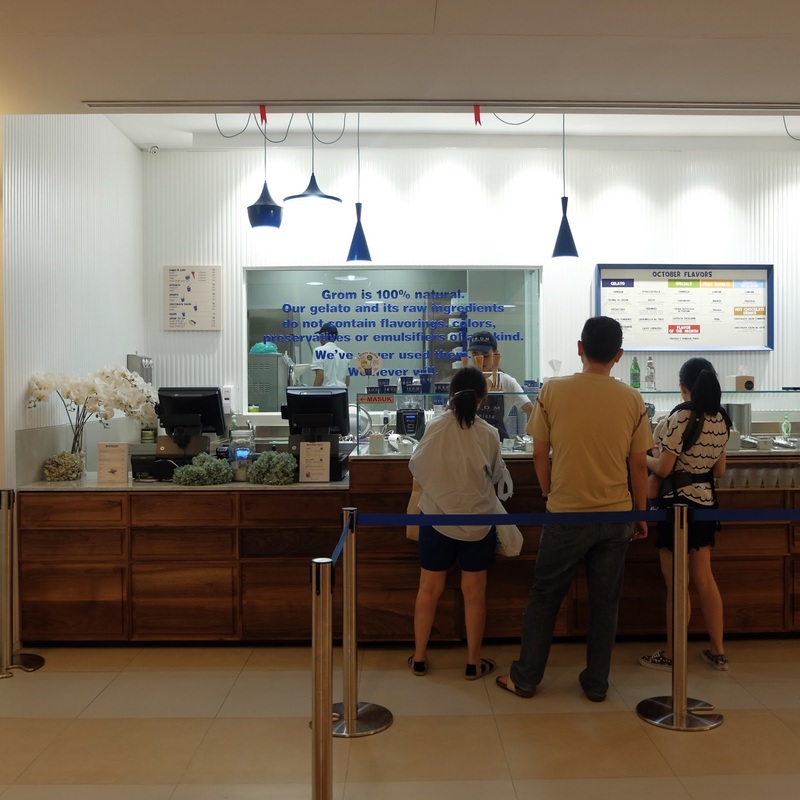 Being a self-professed die-hard foodie, I have tried many Gelatos in my lifetime. 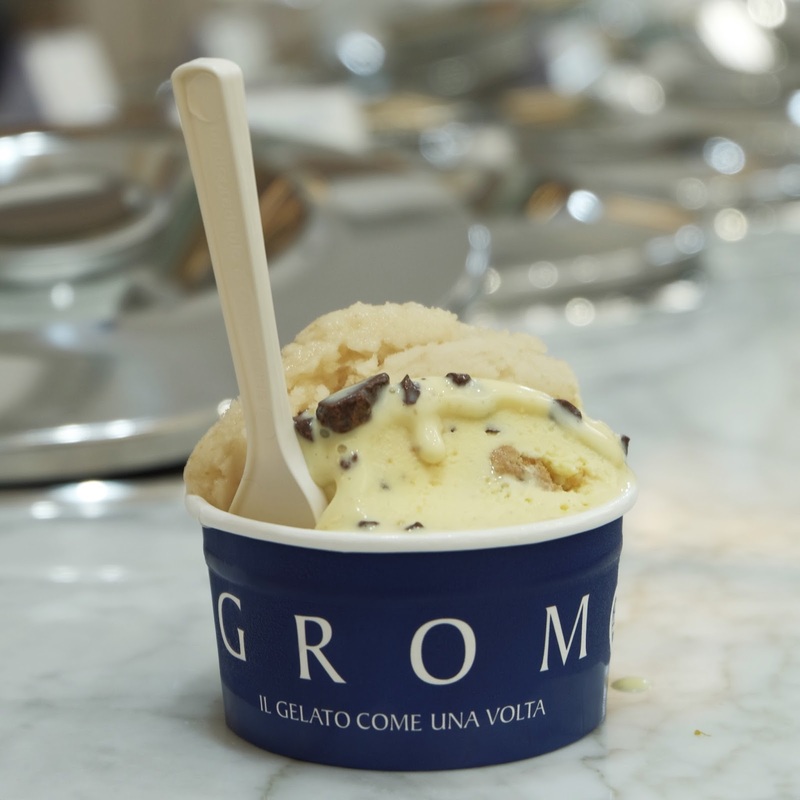 What makes Grom stands out from the rest is that it has unforgettable and unique flavors and refined gelato finish. Do not forget to put your Gelato in its crunchy cone; it completes the Gelato experience, in my personal opinion. One thing that I do have to mention the fact that it is au naturale, Grom Gelato has a rapid time of melting. So do eat them in a jiff and might as well order for your second serving right away! Have your own Grom experience, peeps and do let me know your favorite flavor!